As a marketing executive, you know the important contributions that your team provides to the business. But unlike your peers in Sales, who can point to metrics around deals closed and revenue, you struggle to show how Marketing’s efforts directly impact sales pipeline and revenue. 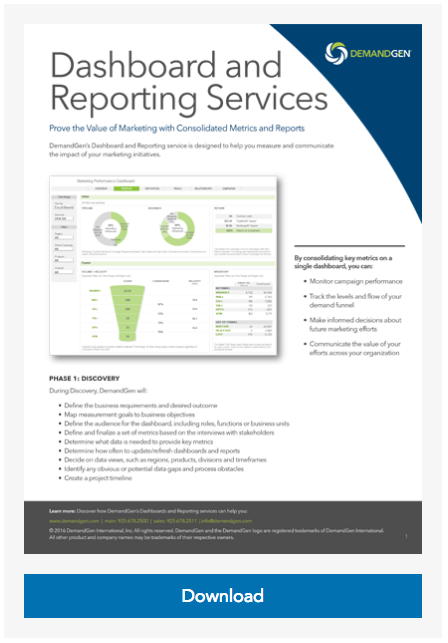 DemandGen has combined its consultative, analytical, and systems integration expertise to design and deliver a complete, effective reporting solution for Marketing: the Marketing Performance Management (MPM) Dashboard Service. 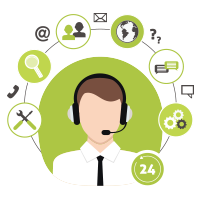 Our Dashboard and Reporting service is designed to help you measure and communicate the impact of your marketing initiatives. 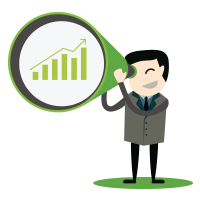 Training and enablement sessions to empower your team to use and interpret Dashboard insights.